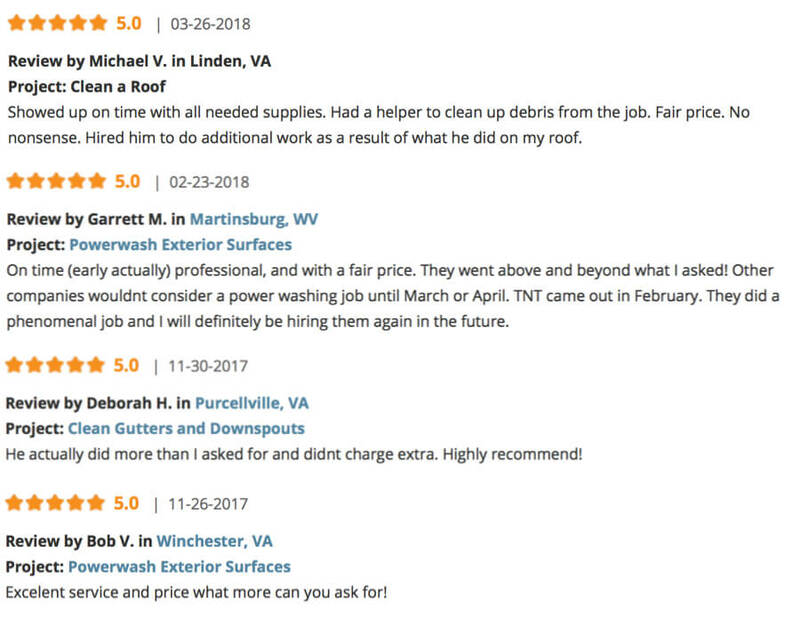 TNT Power Washing of Winchester, VA believes that customer satisfaction is a top priority. 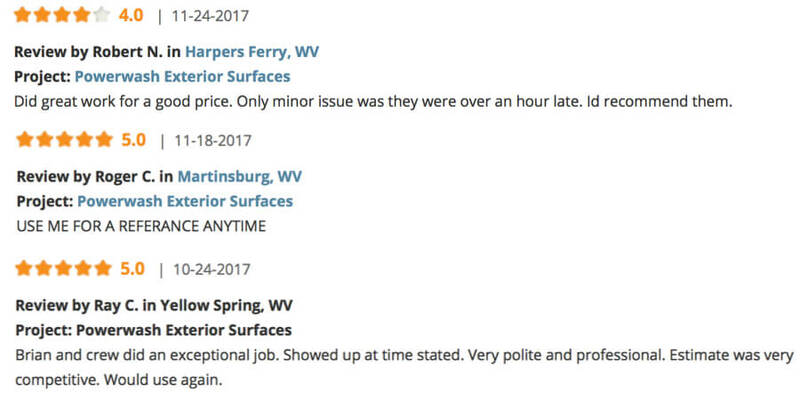 Below is a snapshot of customer testimonials. You can view up-to date reviews on the HomeAdvsior website.